1) (Baron Spencer and Earl of Sunderland; Sir Robert Spencer, Knt., of Wormleighton, was created Baron Spencer 1603; Henry, third Boron Spencer, was created Earl of Sunderland 1643; Charles, fifth Earl of Sunderland, s. as third Duke of Marlborough 1733). Quarterly, ar. and gu. in the 2nd and 3rd quarters a fret or, on a bend sa. three escallops of the first. Crest—Out of a ducal coronet or, a griffin’s head betw. two wings expanded ar. collared gu. Supporters—Dexter, a griffin per fess ar. and or; sinister, a wivern ar. wings expanded, both collared and chained sa. each collar charged with three escallops of the first. Motto—Dieu défend le droit. 2) (Spencer-Churchill). (Duke of Marlborough). See Churchill. John Churchill, the first and great Duke of Marlborough, bore for Supporters—Two wyverns gu. each gorged with a collar or, pendent therefrom oval shields az. garnished gold, and charged with a saltire ar. being the saltire of Scotland, in allusion to his Grace’s title of Baron Churchill, of Eyemonth, in the Peerage of Scotland. 3) (Baron Churchill: descended from Lord Francis Almeric Spencer, youngest son of George, third Duke of Marlborough, who was raised to the Peerage 1815). Quarterly, 1st and 4th, quarterly, ar. and gu. in the 2nd and 3rd quarters a fret or, over all on a bend sa. three escallops of the first, for Spencer; 2nd and 3rd, sa. a lion ramp. ar. on a canton of the last a cross gu., for Churchill. Crest—Out of a ducal coronet or, a griffin’s head betw. two wings expanded ar. gorged with a bar gemelle gu. armed gold. Supporters—Dexter, a griffin per fesa ar. and or, collared sa. thereon three escallops of the first, lined of the second; sinister, a wivern gu. collared as the dexter. Motto—Dieu defend le droit. 4) (Earl Spencer: descended from Hon. 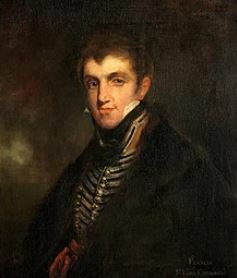 John Spencer, younger son of Charles, third Earl of Sunderland, whose son, John Spencer, Esq., of Althorp, was created Viscount Spencer 1761, and Viscount Althorp and Earl Spencer 1765; John Potntz, fifth and present Earl, K.G., was Lord-Lieutenant of Ireland, 1868-74). Quarterly, ar. and gu. on the 2nd and 3rd quarters a fret or, over all on a bend sa. three escallops of the first, quartering Poyntz, Browne, Nevill, &c., &c. Crest—Out of a ducal coronet or, a griffin’s head ar. gorged with a bar gemelle gu. betw. two wings expanded of the second. Supporters— Dexter, a griffin per fess erm. and erminois, gorged with a collar sa. the edges flory counterflory and chained of the last, on the collar three escallops ar. ; sinister, a wyvern erect on his tail erm. collared and chained as the griffin. Motto—Dieu defend le droit. 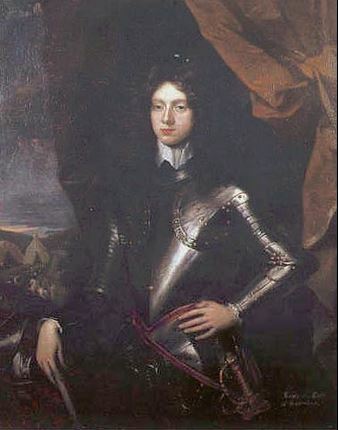 5) (Ashton Hall, co. Lancaster, 1664; son of William, Lord Spencer, of Wormleighton, co. Warwick). (Yarnton, co. Oxford, bart., extinct 1774; descended from Sir William Spencer, third brother of Sir John Spencer, Ent., of Althorp, temp. Queen Elizabeth, the ancestor of the Earl of Sunderland and Duke of Marlborough). Quarterly, ar. and gu. in the 2nd and 3rd quarters a fret or, on a bend sa. three escallops of the first. 6) (Offley co. Herts, bart., extinct 1633, created 1626; descended from Sir Richard Spencer, fourth brother of Sir John Spencer, Knt., of Althorp, temp. Queen Elizabeth, ancestor of the Earl of Sunderland and Duke of Marlborough). (Offley, co. Herts, bart., extinct 1712, created 1642; descended from Sir Brocket Spencer, brother and heir of Sir John Spencer, Bart., of Offley, of the creation of 1626). Quarterly, ar. and gu. in the 2nd and 3rd a fret or, over all on a bend sa. three fleurs-de-lis of the first. Crest—Out of a ducal coronet per pale ar. and or, a griffin’s head of the first, eared gu. collared per pale of the third and gold, betw. two wings of the second charged with three fleurs-de-lis in fess aa. ono on each wing and one on the neck. 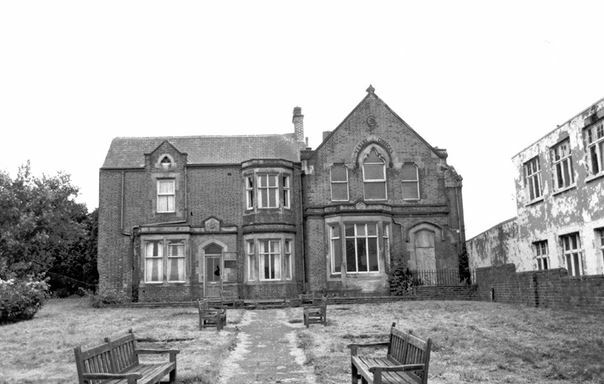 7) (Helmington Hall, co. Durham). Quarterly, erm. and gu. on a bend engr. az. betw. two frets or, five escallops ar. Crest—Out of a crown vallery or, a demi griffin, wings displ. ar. beaked and gorged with a collar gemellée of the first, the dexter wing charged with a bend sinister, and the sinister with a bend dexter az. thereon three escallops of the second. 8) (co. Bedford, and London). Quarterly, or and gu. in the 2nd and 3rd quarters a fret or, on a bend sa. three fleurs-de-lis ar. 9) (co. Chester). Quarterly, gu. and ar. a bend sa. 10) (co. Chester; Sir James Spencer, Lord Mayor of London, 1527). Per pale ar. and sa. a fesse nebulée betw. three griffins’ heads erased, a border engr. all counterchanged. 11) (Crediton, co. Devon. Visit. Devon, 1620). Ar. on a bend az. two pairs of keys endorsed, and their handles fretty or. 12) (co. Devon). Sa. two bars wavy (another, nebulee) erm. 13) (Chard, co. Kent, and London). Ar. a fess engr. gu. in chief three lions ramp. of the second. Crest—A panther’s head or, erased at the neck gu. with fire issuing from the mouth and cars ppr. 14) (co. Leicestcr, Badby and Everton, co. Northampton). Sa. on a fess or, betw. three bezants, as many lions’ heads erased of the first. Crest—An antelope’s head erased or, attired sa. collared gu. lined and ringed gold. 16) (London). Per pale ar. and sa. a fess wavy betw. three griffins’ heads erased counterchanged, a border engr. or (another, ar.). 17) (quartered by Lock, wife of Richard Candeler, of London. Visit. London, 1568). Sa. a chev. betw. three conies’ heads erased ar. 18) (London). Ar. two bars gemel betw. three eagles displ. sa. 19) (Newcastle-on-Tyne; granted 2 Oct. 1809). Quarterly, ar. and gu. in the 1st and 4th quarters a fret of the second, on a bend sinister or, two antelopes’ heads erased az. Crest—An antelope’s head couped or, gorged with a collar engr. az. betw. two wings ar. each charged with a fret gu. 20) (Newcastle-on-Tyne). Erm. on a bend az. three mullets or. 21) (Bradfield, co. Norfolk, and co. Suffolk). Quarterly, ar. and gu. on a bend aa. betw. two frets or, five mullets of the field, all within a border quarterly of the second and first. Crest—Out of a ducal coronet per pale or and gu. a griffin’s head ar. eared and beaked also gu. gorged with a collar per pale gu. and gold, betw. two wings expanded, the dexter gu. the sinister ar. each charged with a mullet. 22) (Worsted, co. Norfolk). Quarterly, ar. and gu. in the 2nd and 3rd quarters a fret or, on a bend sa. five mullets of the field, all within a border counterchanged of the second and first. Crest—Out of a ducal coronet per pale ar. and gu. a griffin’s head of the first, gorged with a collar of the second, charged with three plates within a pair of wings expanded or. 23) (co. Norfolk). Ar. on a bend sa. three mullets of the field, a border gu. 24) (Attercliffe, co. York, and Badley, co. Northampton). Az. a fess erm. betw. six seamews’ heads erased ar. 25) (Bramley Grange, co. York; a younger branch of Spencer, of Badley, co. Northampton; settled in co. York temp. Henry VIII. ; the Rev. William Pakenham Spencer, of Bramley Grange, Rector of Starston, co. Norfolk, was eldest son and heir of Lieut.-Gen. William Spencer, of Bramley Grange, grandson of William Spencer, Esq., of the same place, and great-grandson of William Spencer, Esq., of Attercliffe Hall and Bramley Grange, by Margaret his wife, dau. and heir of Henry Eyre, Esq., of Bramley Hall). (Attercliffe Hall, co. York). Az. a fess erm. wavy betw. six seamews’ heads erased ar. Crest—A rock ppr. thereon a seamew also ppr. 26) (co. Northumberland). Az. a fess erm. betw. three eagles’ heads erased ar. 27) (Witton, co. Salop, and co. Stafford). Sa. a chev. betw. three hares’ heads erased ar. 28) (co. Warwick; granted 1504). Az. a fess erm. betw. six seamews’ heads erased ar. Crest—A moor-hen ppr. 29) (co. York). Sa. a chev. betw. three stags’ heads erased ar. 30) Gu. two bars ar. in chief as many lions ramp. of the last. Crest—On the trunk of a tree lying fessways raguly and at the dexter end a branch erect vert, a talbot sejant gu. eared ar. collared or. 31) Quarterly, ar. and sa. a bend wavy erm. 32) Gu. fretty ar. on a chief az. three griffins’ heads erased of the second. 33) Ar. a fess gu. in chief three lions ramp. of the second. 34) Az. a fess erm. betw. six goats’ heads erased ar. 35) (of co. Chester), _ Ar. on a chev. betw. three griffins’ heads erased sa.‘ as many roses of the field. 36) Az. an eagle displ. or. 37) Ar. a fess betw. three lions ramp. gu. 38) Ar. on a bend sa. three fleurs-de-lis or. 39) Barry nebulee of six erm. and sa. 40) Sa. two bars nebulee erm. 41) Ar. a bend sa. 42) Barry of six or and az. a canton erm. This is an occupational surname denoting a person who was employed in the kitchen or pantry of a great house (of nobles, royals, or artistorcrats) or a religious monastery during medieval times or the Middle Ages in Europe, deriving from the Middle English word spense, meaning larder, a word that referrers to a cool area where good is stored prior to use, the predecessor of the modern refrigerator. This person was a house-steward who was in charge of the buttery or spence. This position involved being responsible for procuring and distributing good for all members within the household. This was a very important position within the household, and was second only to the title of steward, with Butler (handled household staffing and bottles) and Marshal (handled horses) being the other two of the four most positions in a royal/noble household in the Middles Ages. Another author asserts the this title of office derives from the Old French word despense, meaning to weigh, a word which was likely introduced into England and the British Isles during and after the Norman Conquest of 1066 AD. The Old French word in turn derives from the Latin word dispensator. A man named Robertus Dispensator, also known as Le Despencer, was the high steward to King William the Conqueror in the eleventh century AD. He lived in Leicestershire. During the reign of King Henry I of England. 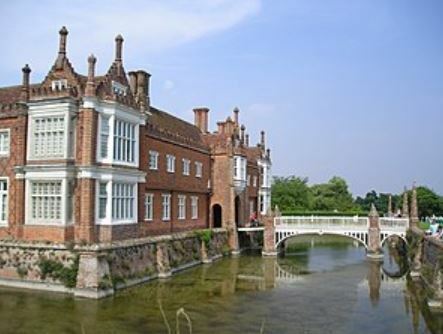 He held land grants in county Bedford, England and held a high position in William’s Court. He was also named Robert d’Abbetot. History records Thurston Dispencer and William le Despencer, but it is not known if they descended from Robertus of merely succeeded him in office. The former may have been his illegitimate son. The family also held land and titles at Loughborough. The book A Topographical Dictionary of England by Lewis Samuel states “The noble family of Despencer, anciently possessors of the manor, obtained the grant of a market and fairs for the town”. The family later established a branch at Yarnton in Oxfordshire, where a church with a tower was built by Sir. 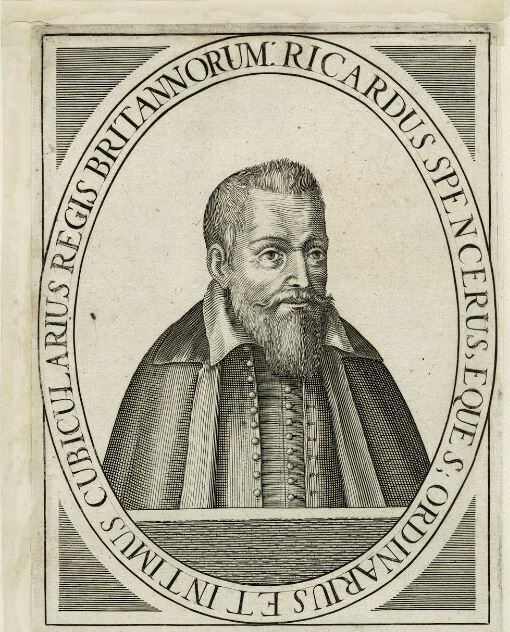 Thomas Spencer in 1612 AD. Due to the fact that this surname is occupational, it is widespread in a range of different locates, and possession of this surname does not necessarily indicate a genealogical link. In the early 1200s AD, a family that were stewards to the Earls of Chester became eminent. Hugh le Despenser (died 1238) became High Sheriff of Berkshire, England and his son, also named Hugh, became Justiciar of England and was summoned in 1264 AD to the Parliament of Simon de Montfort as Lord Despencer. The English aristocratic Spencer family has resided at their ancestral home at Althorp, Northamptonshire, since the early 16th century. Some spelling variants or names with similar etymologies include Spensor, Spenser, Spencers, Spens, and Spender. The last name Spencer ranks 189rd in popularity in the United Status as of the 2000 Census. The name ranks particularly high in the following five states: Utah, Michigan, Idaho, Hawaii, and West Virginia. The surname Spencer frequency/commonness ranks as follows in the British Isles: England (118th), Scotland (477th), Wales (148th), Ireland (1,326th) and Northern Ireland (952nd). In England, it ranks highest in counties Nottinghamshire and Derbyshire. In Scotland, the surname ranks highest in Aberdeenshire. In Wales, it ranks highest in Flintshire. In Ireland, it ranks highest in county Wexford. 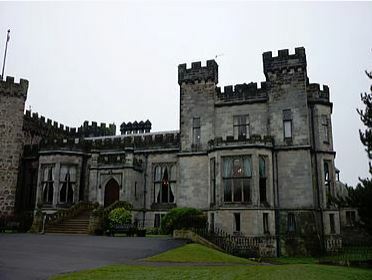 In Northern Ireland, it ranks highest in county Down. The name is also present throughout the remainder English speaking world: Canada (323rd), New Zealand (277th), Australia (184th), and South Africa (1,043rd). The 1890 book Homes of Family Names by H.B. Guppy, states the following in regard to this surname: “Absent or rare in the north and south of England. Most numerous in the midlands, especially Warwickshire, and afterwards in Northamptonshire, Derbyshire, and Notts”. The earliest known bearer of this surname was Henry le Despender who was documented in the Curia Regis Rolls of Warwock n 1214 AD. The famous Sir Hugh le Despencer (born 1256 AD) fought in the Battle of Falkirk (in Scotland) in 1308 AD. The Hundred Rolls of 1273 AD, a census of Wales and England, known in Latin as Rotuli Hundredorum lists two bearers of this surname: John le Spencer (Southampton) and Henry le Spenser (Cambridge). Henry del Spens was documented in 1292 AD according to the History of Northumberland by Reverend John Hodgson. Thomas del Sepns was recorded in the Patent Rolls in 1330 AD. Nicholas de la Despense was recorded in the Close Rolls in 1330 AD. The Poll Tax of Yorkshire in 1379 AD lists two bearers of this last name: Thomas Spenser and Agnes Spenser. Albert Edward John Spencer, or The Earl Spencer, as well Baron Spencer, Viscount Althorp, and Viscount Spencer was of Althorp, county Northampton, England was born in 1892 and succeeded his father as the 7th Earl in 1922. He was educated at Harrow and Trinity College Cambridge. He was a Captain of the Life Guards and served in World War I where he was wounded. In 1919, he married Lady Cynthia Ellinor Beatrix Hamilton, daughter of the Duke of Abercorn, and had issue with her as follows: Edward John (Viscount Althorp, Captain of The Royal Scots Greys, served in World War II, Governor of South Australia) and Anne (married Lieutenant Christopher Baldwin Hughes Wake-Walker, had issue). This branch of the Spencer family tree begins with the Honorable John Spencer of Althorp, a Member of Parliament for Woodstock and Ranger of the Great Park, Windor, who was the son of the 3rd Earl of Sunderland and Anne Churchill. He was born in 1708 and succeeded the Sunderstanld estates, and some portions of the wealth of his grandmother, Sarah, Duchess of Marlborough. In 1733, he married Georgina Carolina, daughter and co-heir or John Carteret, Earl Granville, and he had a son with her named John Spencer. His son John Spencer was the 1st Earl of Spencer, High Steward of St. Albans, who was born in 1734. 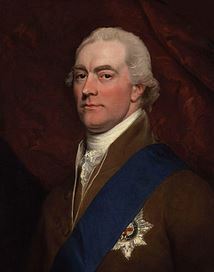 He was created Baron Spencer of Althorp, county Northampton and Viscount Spencer in April of 1761 and advanced to the Earldom of Spencer in 1765. 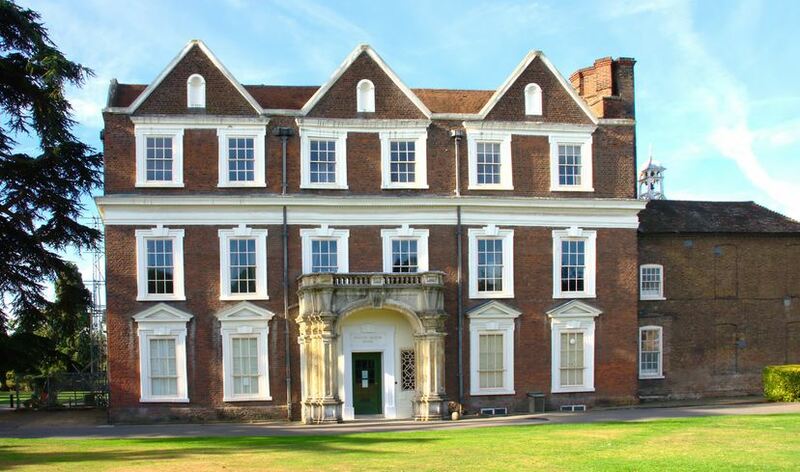 In 1755, he married Georgiana, daughter of Stephen Poyntz, of Midgham, and had three children with her as follows: George John (2nd Baronet), Georgiana (married the 5th Duke of Deonshire), and Henrietta Frances (married the 3rd Earl of Bessborough). 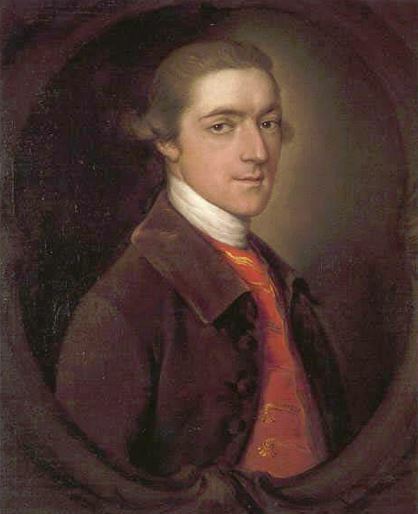 He died in 1783 and was succeeded by his only son, George John, 2nd Earl Spencer. George John was born in 1748 and in 1781 he married Lavinia, daughter of the 1st Earl of Lucan, and had issue with her as follows: John Charles (3rd Earl), Sir Robert Cavendish, Frederick (4th Earl), Revered George (clergyman of the Church of Rome), Sarah (married 3rd Baron Lyttelton), and Georgiana Charlotte (married Lord George Quin). The Spencer Coat of Arms (often mistakenly called the Spencer Family Crest) is blazoned in heraldry as follows: Quarterly, argent and gules, in the 2nd and 3rd quarters a fret or, over all on a bend sable three escallops of the 1st. Crest: Out of a ducal coronet or, a griffin’s head argent, gorged with a bar gemelle gules, between two wings expanded of the second. Supporters: Dexter, a griffin per fesse ermine and erminois, gorged with a collar sable, the edges flory-counterflory, and chained of the last, on the collar, three escallops argent; sinister, a wyvern erect on his tail ermine, collared and chained as the griffin. A one Nicholas Spencer was born in Defford, Worcestershire England in 1340 AD. He married Joan Pollard and had two sons with her: Thomas and William. 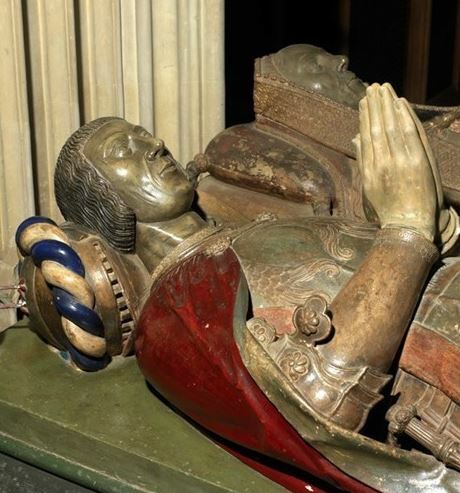 The former son was born in Defford around 1335 AD and he married Dorothy and had two sons with her: Thomas and Henry. His son Thomas was born in 1378 and he had a son named Robert. This Robert Spencer was born in Colmworth, Bedfordshire, England in 1406 AD. He married Anna Focke Smyth and Ann Empson and had two sons: John and Henry. His son John was born in South Mills, Bedfordshire and he had a son, also named John. This son John Spencer was born in 1462. Gerard Spencer, the son of Michael, was born prior to 1576 AD in Stotfold, England. He married Alice Whitebread, and had numerous issue with her including: William, Sergeant Thomas, Richard, Henry, Elizabeth (Tomlins), John, Henry, Michael, Gerard, Alice, Timothy, and Haddam. Michael Spencer was born in Stotfold, Bedforfshire, England in 1611 and he went to colonial America. He married Isabel Robbins and had several issue with her: John, Susannah, Michael Jr, and William. His son John Spencer was born in Lynn, Essex, Massachusetts in around 1640. He married Susannah Griffin and he had the following issue with her: Susanna (Reynolds), John, Michael, Benjamin, William, Captain Robert, Abner, Thomas, Susannah (Briggs), and Susannah. His son William was born in East Greenwich, Rhode Island in 1672. 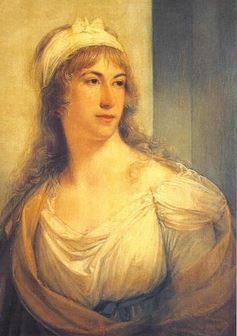 He married Elizabeth Burlingame and had the following issue with her: Susannah (Trip_, John, Mary (Coggshall), Elizabeth (Herendeen), Jonathan, William, Sarah, Christopher, and Henry. His son Christopher was born in Rhode Island in 1710. He in turn had a son named John. John Spencer was born in 1737 and died in 1824 at the age of 87. Thomas Spencer was recorded as living in Virginia (at Warwick Squeake) in February 1623. A one William Spencer, along with his wife Allice and daughter Allice came aboard the Sarah to Virginia areound 1624. Francis Spencer, age 23, came to Virginia aboard the Bonaventure in January 1634. William Spencer, age 17, came to Virginia aboard the Speedwell in May 1635. Robert Spencer, age 21, came to Virginia aboard the Thomas & John in June 1635. William Spencer, age 16, came to Virginia aboard the Merchant’s Hope in July 1635. 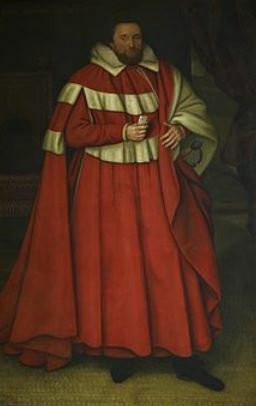 Peter Spencer, age 15, came to Barbados aboard the Expedition in November 1635. 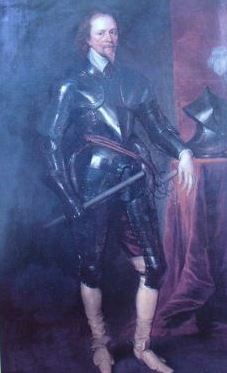 John Spencer, age 19, came to Barbados aboard the Expedition in November 1635. James Spencer, age 25, came to Barbados aboard the Falcon in December 1635. John Spencer and his wife, along with two children, three servants, and three slaves were documented in the town or parish of St. Michael’s, Barbados in 1680. Other settlers in colonial America bearing this surname include: Kathren Spencer (Virginia 1623), Thomas Spencer (Maine 1630), Gerard Spencer (New England 1632), Mary Hilles Spencer (Virginia 1701), William Spencer (Virginia 1701), Mottrom Spencer (Virginia 1703), Eliza Spencer (Virginia 1711), and Peter Spencer (Virginia 1714). In Canada, one of the earliest settlers bearing this last name was Mathew Spencer, who came to Bay de Verde, Newfoundland in 1709. 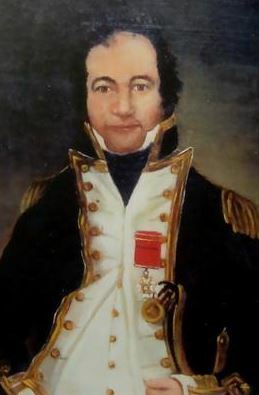 In Australia, one of the earliest bearers of this surname was Joseph Spencer, a convict from Lancaster, England who came to New South Wales (then a penal colony) in May of 1828 aboard the Albion. In New Zealand, a one J. Spencer came to Bluff Harbour in 1824. 1) Argent on a chief or 3 spears erect Crest: a demi-lion ramp gules holding a crown. Motto: Nil desperandum Bookplate Ambrose Spencer. 2) Quarterly argent and gules on 2 and 3 a fret or. Over all on a bend sable 3 fleurs-de-lis. Ex libris Katharine Vosburgh Spencer. W[eston]-S[mith] del. 1900 ( R. D. Weston). 3) Quarterly 1 and 4: Argent and in chief a crescent for diff; 2 and 3: Gules a fret or. Over all a bend sable charged with 3 mullets argent. Crest: out of a ducal coronet a griffin’s head gorged bet 2 wings spread or Supporters: A griffin and a dragon. Motto: Dieu defend le droit Bookplate O. M. Spencer, Penn. 1) Nicholas Spencer, Westmoreland, Virginia, 1659, from London. Quarterly or and gules, in the second and third a fret of the first, on a bend sable three fleur-de-lis argent. 1) Horatio Nelson Spencer who was born at Port Gibson, Mississipi in 1842. He was a professor of Otology at Washington University. In 1897, he married Anna, daughter of Isaac B. Kirtland and later Elizabeth, daughter of Isaax M. Dwight of South Carolina. He had five issue: Selden (1873), Horatio N. (1875), Laura (married Bernard C. Edmund), alandina (married Reverend William H. DuBose), and Anna (married W.S. Hancock). Arms: Quarterly, argent and gules, in 2 and 3 a fret or, over all on a bend sable three escallops of the first. Crest: Out of a ducal coronet or, a griffin’s head argent gorged with a bar gemella gules between two wings expanded of the second. He lived in St. Louis, Missouri and was the son of Horatio Neslon Spencer (1798-1876) and Sarah Marshall. He descended from Gerard Spencer who was born in England in 1614. 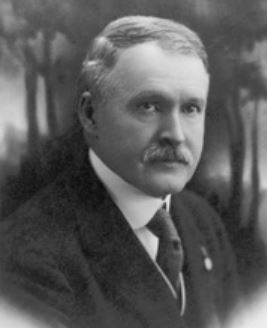 2) Selden Palmer Spencer of St. Louis, Missouri who was born in Erie, Pennsylvania in 1862. 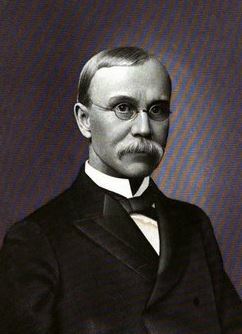 He lived in St. Louis, Missouri, and was a Member of the Legislature of said state, as well as a Judge of the 8th Judicial Circuit Court of Missouri, and a graduate of Yale University. In 1886, he married Susan Brookes, and had four children with her: James Brookes, Selden Marvin, Oliver McLean, Selden Marvin, and Susan Palmer. Arms: Quarterly, argent and gules, in 2 and 3 a fret or over all on a bend sable three escallops of the first. Crest: Out of a ducal coronet or, a griffin’s head argent, gorged with a bar gemella gules between two wings expanded of the second. He was the son of Samuel Selden Spencer and Eliza D. Palmer. He descended from Gerard Spencer who was born in England in 1614. The Spencer family motto is Dieu défend le droit, which means “God defends the right”. Another motto for this family is Nil desperandum, which means “Never despair”. There are hundreds of notable people with the Spencer surname. This page will mention a handful. Famous people with this last name include: 1) Robert Bruce Spencer (1962) who is an American author and blogger who is a prominent figure in the counter-jihad movement, 2) Anna Garlin Spencer (1851-1931) who was an American feminist, educator, and Unitarian minister born in Attleboro, MA, 3) Anne Spencer (1882-1975) who was an African-American poet from Henry County, Virginia whose birth name was Annie Bathel Bannister, 4) Winston Baldwin Spencer (1948) who was the 3rd Prime Minister of Antigua and Barbuda from 2004-2014, 5) Brian Roy “Spinner” Spencer (1949=1988) who was an Canadian Hockey player who played in the NHL from 1969-1980 for four different teams including the Toronto Maple Leafs, 6) Carlos James Spencer (1975) who is a retired New Zealand rugby player and current head coach of the Eastern Province Kings who was born in Levin, New Zealand, 7) Cynthia Ellinor Beatrix Spencer (1897-1972) who was Countess Spencer, a British peeress, who was the grandmother of Prince Diana of Wales, 8) Diana Frances Spencer (1961-1997) who was Princess Diana of Wales, the wife of Charles and eldest child of Queen Elizabeth, 9) George Eliphaz Spencer (1836-1893) who was an American politician who was an officer in the Union Army during the American Civil War and a Senator from Alabama from 1868-1879, and 10) Henry Evans Spencer (1807-1882) who was the Mayor of Cincinnati, Ohio from 1843-1851. The two most common or prominent heraldic symbols in the Spencer Coat of Arms (mistakenly called the Spencer Family Crest) are the fret and escallop. The escallop occurs often in arms, represented as the outside of the shell, sometimes “fluted” of a different colour. It has been part of heraldic tradition almost from the beginning of the art, Henry III of England awarded Gules, 3 escallopes argent to Herbert de CHAMBERLEYNE in the 13th century, and it is present in the heraldry of almost all countries. It is believed that they were adopted as badges of those going to the Holy Land and can be found in the arms of many a crusading family. Hence Wade’s suggested association of the scallop with those that “complete long journeys to far countries”. Great information but wondering when your downloading of high resolution jpegs will be ‘live’? You have a great resource of data but I can’t access it right now. Will your maintenance be completed soon?